AE Veloce is the new Album Epoca professional application built to revolutionize your way of working. Designed to simplify and optimize the layout, this is the program you were looking for to get the best out of your business. It is an online tool: you don’t need to download nor install any software on your computer. In order to use it you just have to connect to the Internet wherever you can on any device. This also releases you from the burden of updating the software through constant downloads since you will always work on the latest version. It is extremely intuitive and easy to use: its interface has been developed to ensure a pleasant and satisfying user experience thanks to a minimal, neat design and to captions available for each icon. It is fast in every single phase: image upload, layout creation, update of the amendments on the layouts you created. 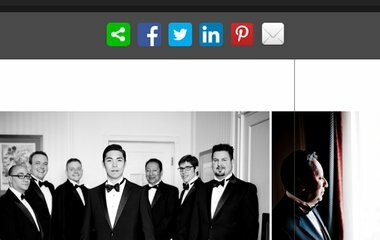 You may define two priority levels for your images: the photos that you mark as ‘Favorites’ will have a privileged position within the layout, covering an entire single page. 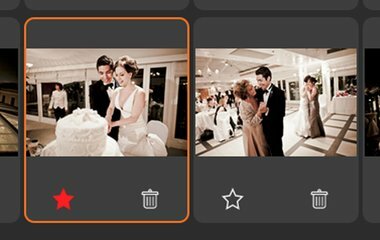 It’s up to you to decide which layout mode to use: you can choose the Fast mode to receive an automatic layout proposal that you may then adjust to your needs or the Manual one through which you may control the whole image layout process. 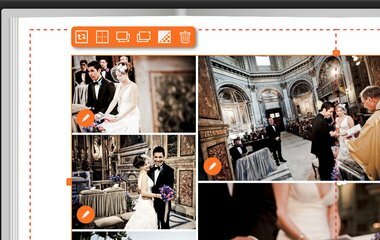 You can share the project with your clients online: you won’t need to fix a meeting with them in your studio anymore because now you can share the print preview online with anyone you wish. To design the Material Covered Event Books with Album Epoca you need to choose and customize the product in the online configurator. Once you selected both the product and the packaging you will proceed to a page where to choose the design option including AE Veloce. Then you will be able to upload the images online and design your Material Covered Event Book. The following screenshots may guide you through the creation of your first Material Covered Event Book. Please note: AE Veloce cannot be accessed through a direct link. 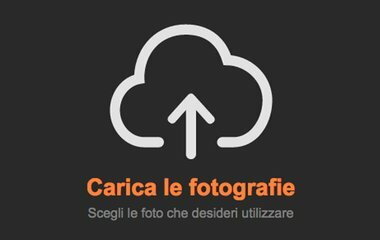 Choose the images you wish to use - Select from your computer all of the images you wish to be included in the layout of your Material Covered Event Book. 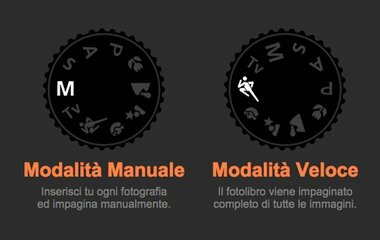 Choose the design mode you prefer: Manual, to create the layout according to your taste or Automatic, to use the advanced automatic functions of this tool. In the file ordering section you can mark as ‘Favorites’ the images that you want to cover an entire single page. When you choose the Fast mode the system designs your Material Covered Event Book within a few seconds and shows you a complete layout proposal that is ready to be printed. 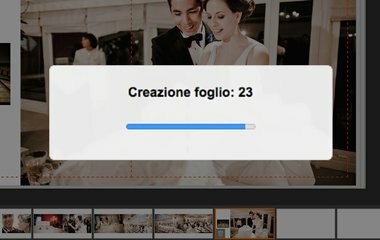 AE Veloce allows you to change in a click the position of the images within the layout and see the new composition right away. Before sending the order show your clients a preview of the layout thanks to the online useful function ‘Share project’.